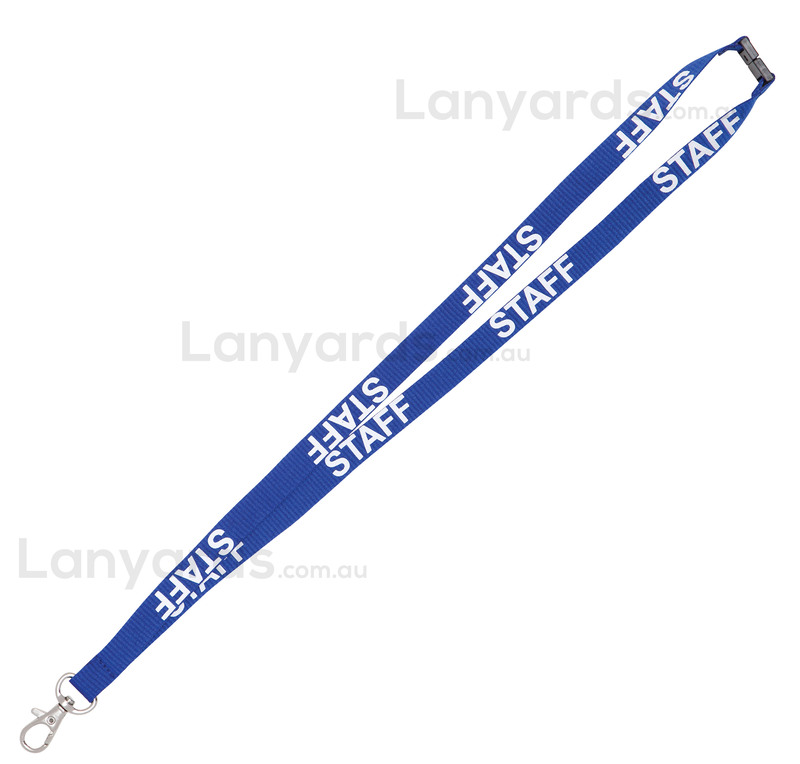 Staff Lanyards have been preprinted and are perfect for anyone needing staff lanyards but don't don't require a large volume. They come with a trigger hook to attach you ID holders and a safety breakaway at the back for a quick release in case something goes wrong. They are carried in stock so we can do an immediate shipment for fast delivery.